Paola P. Hinton serves as Owner of Five Senses Spa, Salon & Barbershop in Peoria, Illinois. Five Senses Spa, Salon & Barbershop offers full-service hair, nails, body, facial, massage, and barbering experiences and is a retailer for the highly regarded Aveda products. Five Senses helps guests escape their daily routine in an atmosphere that is second to none. Five Senses’ team approach and corporate culture offers uncommon benefits and opportunities in the industry, as well as helping team members grow and prosper within Five Senses. The company’s leadership has been recognized nationally by Salon Today magazine as a “Top 200 Spa and Salon in North America” for several years, and has been awarded as a "2018 Salon of the Year ~ Top 20 Salon of Distinction" in North America by the magazine. A Chicago-area native, Paola, daughter of Italian immigrant parents, learned her strong work ethic at a young age. She began elementary school not knowing how to speak English and completed her education in 1998 from Illinois State University with a double major in Marketing and International Business. Paola built a career working in various marketing, advertising and event positions for 7 years. In 2006, Paola took a risk in building a business in an industry she had no experience in. As she always says, “I have no business being in this business” and today she is considered an industry leader. Paola has successfully grown her business despite facing adversity, such as being told her idea would not work in Peoria, operating through a recession and most recently, expanding her business to a new and larger location. Paola serves as a Junior Achievement representative, a Girl Scout co-leader, is very active in her community and neighborhood, and loves to begin her week singing in the St. Jude Catholic Church choir. 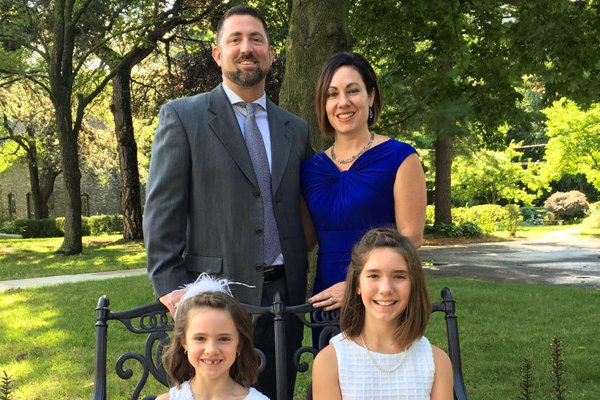 She resides in Peoria, Illinois and is blessed to have her husband Steve of 18 years, and children Lia (14) and Claudia (9).